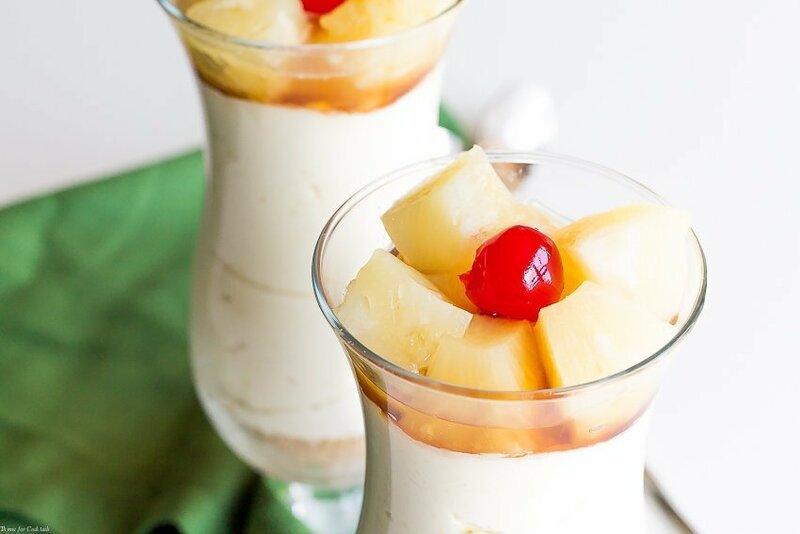 Whip up these no-bake Pineapple Upside Down Cheesecake Parfaits in a fraction of the time it takes to make the real thing. This is a total cheater recipe, the kind you make what you get a craving but don’t want to bake. Paul loves pineapple upside down cake, and since baking isn’t my forte, a no-bake option is perfect. 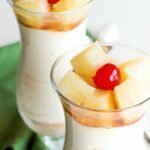 I brainstormed cocktails, jello shots, and all kinds of recipes with similar flavors. This easy cheesecake parfait is a mishmash of all that research. Most of the ingredients for this recipe are a result of too much wine and my online grocery shopping habit! Paul is usually at work when I need groceries, so rather than wait I get them delivered. There is a pretty good selection and a variety of services in most areas. Convenience folks, gotta love it. Or in my case, a necessity for a one car food blogging family. 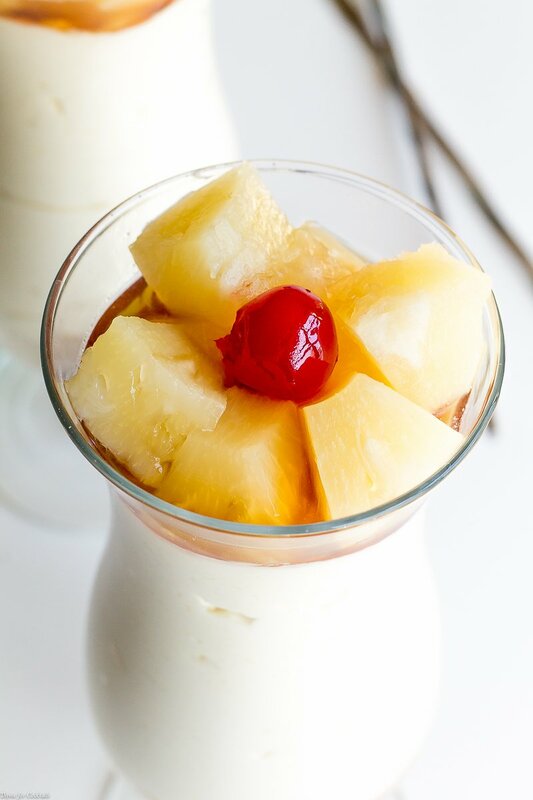 These Pineapple Upside Down Cheesecake Parfaits have a drizzle of brown sugar syrup because that is Paul’s favorite part of the cake. The caramelized sugar that collects in the bottom of the pan is a combo of pineapple juice and brown sugar. So that is how I made the syrup. Pineapple juice mixed with brown sugar, then reduced in the microwave. Super easy and completely delicious! What is your favorite no-bake dessert? How can you remake a family favorite into a no-bake version? In a small bowl combine graham cracker crumbs and butter. Divide evenly between to parfait glasses. In a medium bowl whisk together jello, boiling water, and 2 tablespoons brown sugar until dissolved. Add cream cheese and mix until smooth. Let rest 10 minutes. Carefully fold in whipped topping. Evenly divide filling between parfait glasses. Chill in refrigerator until set, at least 1-2 hours. 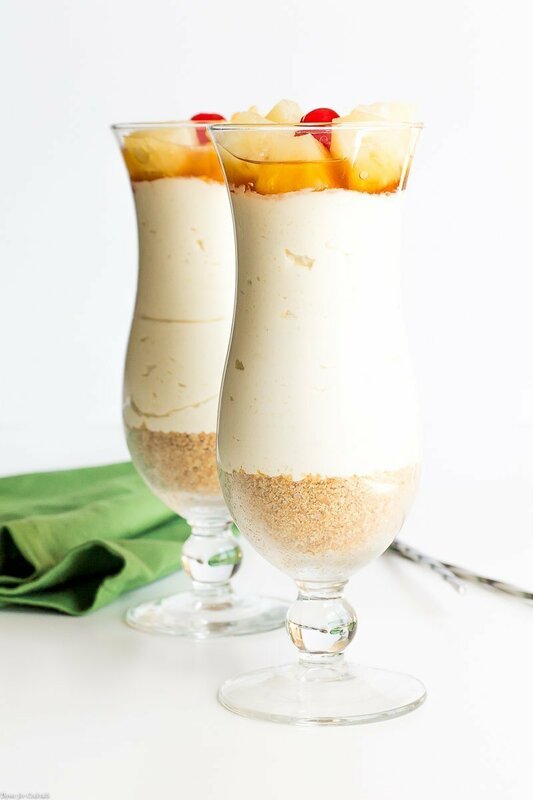 While parfaits chill, whisk together remaining brown sugar and pineapple juice in a microwave safe bowl. Microwave for 2 minutes, in 30 second increments until slightly reduced. Cool completely. 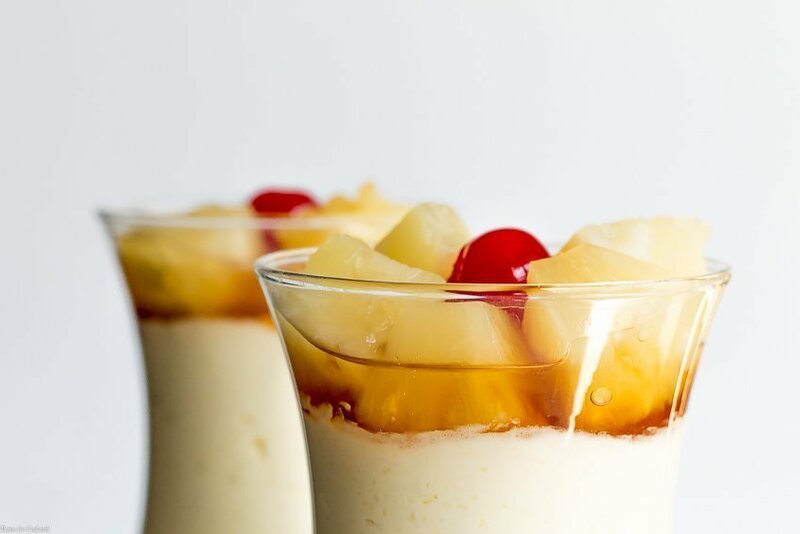 Top chilled parfaits with pineapple chunks and drizzle with desired amount of brown sugar syrup. Top with maraschino cherries and serve immediately. Im seeing the ingredients but not the amount nor the instructions. Is it just me? Thank you for catching that error! There was a problem with the recipe plugin, but it is fixed now. Please let me know if you can’t see the full instructions now.